In 2015, Saint-Gobain celebrated its 350th anniversary and re-defined its core purpose to create great living spaces and improve daily life. As a business, Saint-Gobain designs, manufactures and distributes materials and solutions, which are key ingredients in the well-being of each of us and the future of all. They can be found in our living places and our daily life: in buildings, transportation, infrastructure and in many industrial applications. They provide comfort, performance and safety, while addressing the challenges of sustainable construction, resource efficiency and climate change. 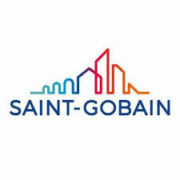 Saint-Gobain is present in 67 countries and employs over 180,000 people worldwide. It was founded in 1665 to deliver a world first – the production of glass on an industrial scale – and has continued to grow its business through adapting and innovating to provide new services, products and ways of working with customers. Saint-Gobain has a series of increasingly advanced off-site solutions combining ‘best in class materials’ from some of its trusted and respected brands including: British Gypsum, Celotex, Isover, PAM, Pasquill, Saint-Gobain Glass, Saint-Gobain Performance Plastics and Weber. Saint-Gobain works collaboratively with key partners to establish how we can add value to the supply chain through Saint-Gobain solutions which can reduce waste, risk and uncertainty whilst improving quality, building performance and overall efficiencies.